At this very moment I’m posting to you from Spain, where two other teachers and I have brought 19 students from Burlington High School on a cultural exchange with the IES Lázaro Cardenas school in Collado Villalba. 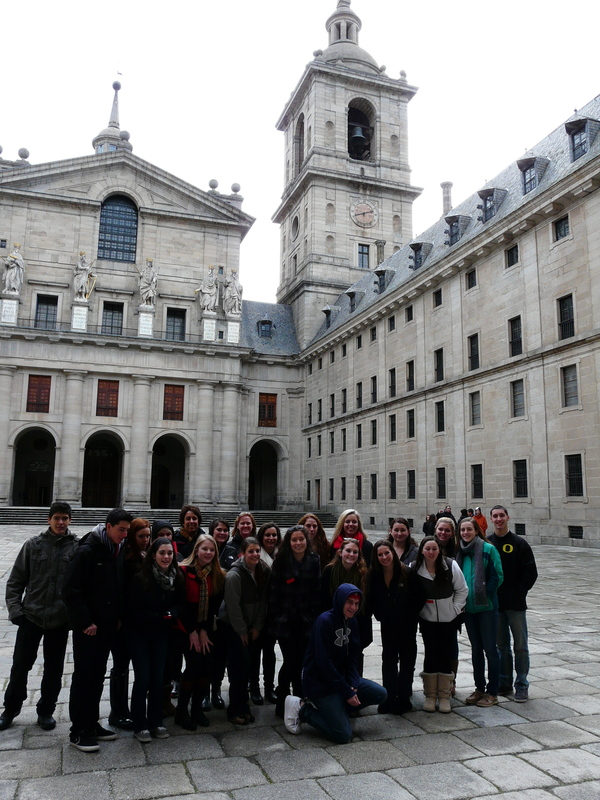 The Burlington kids enjoying a trip to El Escorial. We’re here for two weeks, and then the Spanish kids will be coming to Burlington in April. In each case the kids stay with host families and split their time between attending class at the foreign high school and going on field trips. I will confess, seasoned traveler though I am, I was initially nervous taking nineteen other-people’s-minor-children overseas with me. However, I have to say that it’s been a wonderful experience so far! The kids are really rising to the occasion; learning to love Spanish people, Spanish food, Spanish customs, and Spanish siesta time. A couple have already commented to me that they don’t want to go home. On my part, the fact that the kids are staying with families has made the trip very fun for me as well. Though I am “on call” by cell phone evenings and weekends, I don’t have the stress of managing overnights in a hotel or feeling like I have to be in “teacher-mode” 24 hours a day. So, though I started off with some misgivings, I’m now a total convert. Study abroad! ¡Hazlo! 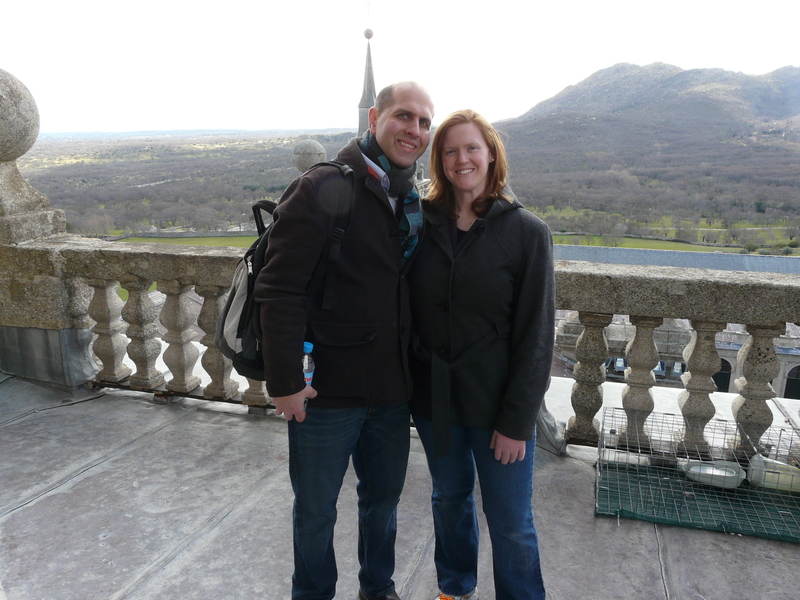 On the top of El Escorial. 2 Responses to Tuesday Teaching: Exchange Excitement! Tienen un gran tiempo y envíeme un correo electrónico cuando vuelvas … podemos hacer el almuerzo!